Description: Bedrooms: Near the deschutes river. Climb the slight ridge and the mountain views open big and wide from mt. Hood to brokentop. Every peak is visible as well as the valley below. Bordering blm directly on the eastside. Paved access, underground utilities, existing well and septic available. 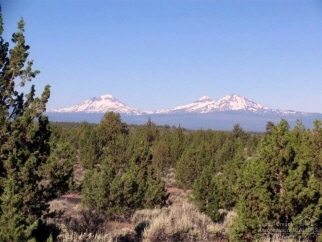 Enjoy the quiet setting and night sky in this beautiful secluded corner of deschutes county. Great year round fishing nearby in the middle deschutes river. Very large area of adjacent blm for walking and enjoying nature.